And nothing that my current fashion cravings won't fix either! 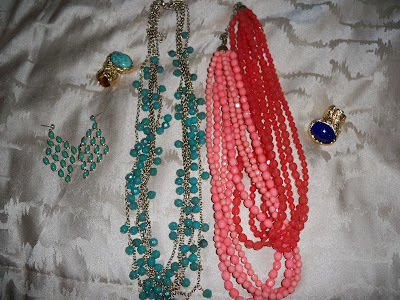 I am loving colorful stone jewelry and oversized clutches that will take me from day to night. My collection ~ I think I have a good start. What's putting you in the mood for Spring? Today it's in low 50's here and I'm so happy :) Snow if finally melting. I LOVE that ring from Anthro, gorgeous. And so if your collection dear. Love every single piece you got there. Love that ysl clutch! So cute! Lilly: 50 isn't bad, right? Good that the snow is melting =) Thank you for your sweet comment Lilly! Crystal: I know, they have it in multiple colors. The mustard or saffron as they call it is gorg. Ok, so just a few more days and it's officially Spring! Thanks for letting me know! oh gosh - what gorgeous pieces!! i just bought a turquoise long necklace at F21 yesterday. something to brighten up my mostly black/bland wardrobe. DeAnna: I love Forever 21's selection of jewelry too! It's just as pretty as Anthro's. That necklace will be perfect! 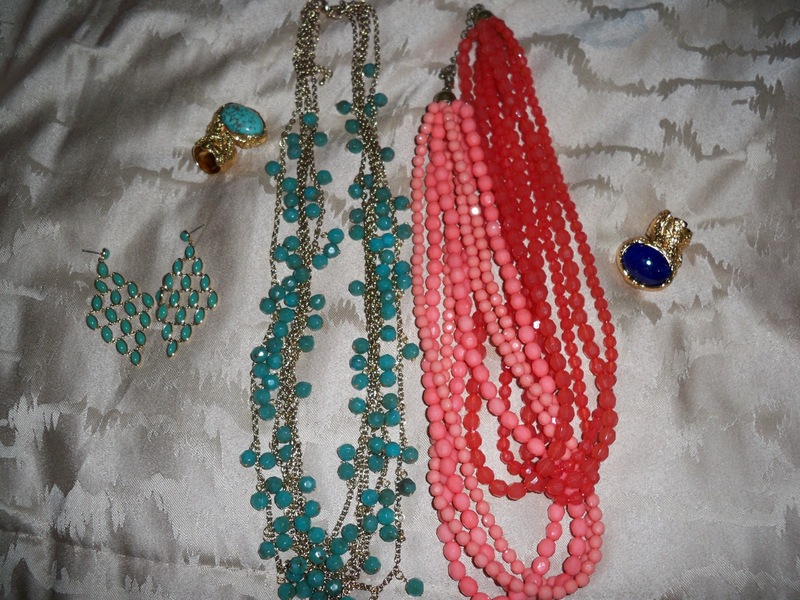 What a lovely piece...the turquoise necklace and matching earrings are gorgeous! Where did you purchase it? Lisa: Oh you lucky girl! I would love it to death too! Natasha: Thank you =) The necklace was purchased at Forever 21 a couple months ago, but I've seen other necklaces at Forever 21 that look quite similar. The earrings are from Banana Republic, and those were purchased about two years ago. There are so many options at so many different stores now though, I'm sure you will find something you love! Natasha: I love the clutch too! There is an American Apparel store about an hour away from me and I really want to see if they have them there. I wonder what the quality is like. Happy St. Patty's! goodbadnfab: Thank you, I will! Lol. You're funny. I love Spring because get to wear shorts and sandals but I'm not looking forward to shaving my legs every day lol. those first stone earrings are so pretty love!